Moise-Kapenda Tshombe pursued a career that took almost as many bends as the Congo River. This flamboyant man was once the leader of the Congo's secessionist Katanga Privince and at another point Premier of the united Congo. Tshombe was once described by The Observer, a London newspaper, as being "in some ways impressive, in others outrageous." Tshombe came from a wealthy family and at his father's death inherited sizable business holdings. His father, Joseph, was the most successful Congolese businessman of his time, Moise was born Nov. 10, 1919, in'a village near the provincial capital of Elisabethville — now known as Lubumbashi — in the extreme south of Katanga. Tshombe became involved in politics and founded the Conakat political party which advocated an independent but federal Congo. In January, 1960, he was one of the leaders summoned to Brussels to .plan an independent Congo Republic. Patrice Lumumba, one of the most important leaders in Leopoldville, now known as Kinshash, was released from jail to attend this conference. On June 21, 1960, Joseph Kasavubu assumed the presidency and appointed as premier the leftist Patrice Lumumba, the leader of the National Congolese Movement. Nine days later, as promised in 1959, Belgium granted its former colony independence. The Congolese Army promptly mutinied and Moise Tshombe’s Katanga Province seceded from the new republic. Katanga’s cobalt, copper, diamonds, radium, tin, and uranium (produced by the Union Minière) were still vital to the West. The Simbas ["lion" in Swahili], a ragtag bunch of illiterate dissidents, certainly were not Communists, but they posed a threat to the pro-Western government in Leopoldville led by Moise Tshombe. Thus, they gained the support of the Soviet Union, China, and their client states. By July 1960, Katanga Premier Moise Tshombe, having failed in secessionist move to obtain recognition as independent state, proposed a loose federation of autonomous states composed of Katanga and five other Congo provinces. Tshombe received strong backing throughout much of the province from his own Lunda tribal groups, and, in association with his chief lieutenants, Interior Minister Munongo and Foreign Minister Kimba, enjoyed tribal support throughout southern and eastern Katanga among the predominant non-Baluba peoples. Tshombe also obtained important financial resources from Katanga's mineral properties, which accounted for about 50 percent of the Congo's budgetary income and which were still largely owned and operated by Belgian interests. 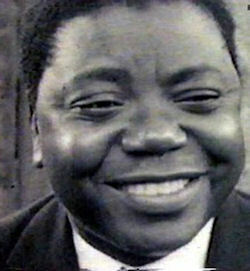 Katangan President Moise Tshombe was released on 22 June 1961 after almost 2 months of house arrest, initially in Coquilhatville and subsequently in Léopoldville. At a press conference on June 22, he announced that he and General Mobutu had made a military pact and he would send the Katangan Conakat parliamentarians to Lovanium. The movement for the secession of Katanga collapsed in January 1963, when its leader, Moise Tshombe, went into exile. Tshombe had shown himself to be a gifted opportunist. He associated himself with extremist and leftist self-exiled Congolese politicians, publicly called for a government of conciliation including elements of all tendencies. During the period of maneuver and counter-maneuver by various individuals and political groups leading up to the return of Tshombe and the developments immediately thereafter, General Mobutu and Victor Nendaka played a somewhat devious game, the final element of which was that their support was withdrawn from Adoula and, it is assumed, at least conditionally given to Tshombe. Both Mobutu and Nendaka retained their positions under Tshombe. Moise Tshombe was long the principal adversary of those who were seeking to fashion a central authority in post-colonial Leopoldville. His appointment as Prime Minister testified to the kaleidoscopic nature of Congo politics and the extent of the desperation felt by President Kasavubu and General Mobutu in their efforts to preserve the Congolese entity. Political parties had little effect on the national scene, although they are often influential in areas of their tribal base. No man or party has a solid claim to a national political following. Only a handful of the country's political figures had any concept of the national interest or the responsibilities of national leadership. The central government lacked the minimal instruments of power such as a loyal and effective military force and a reasonably competent bureaucracy. These problems, plus the corruption, irresponsibility, and perhaps above all the inertia of the Congo's inexperienced politicians, both government and opposition, stymied Adoula's efforts to rebuild the administration, brought fledgling political institutions such as parliament intodisrepute, and widened the gap between Leopoldville and the provinces. Although outside assistance and the UN presence preserved the Congo's basic territorial integrity, Adoula was able to exercise his authority outside Leopoldville only unevenly and sporadically, relying on financial subventions and the Congolese National Army (ANC). By and large, provincial officials were inept and often corrupt and did little to further national objectives. The ANC in many instances fed anti-Leopoldville hostility by acts of brutality and pillage. In time, local grievances and the deterioration of order sparked the growth of numerous, disparate rebellious groups in several provinces, notably Kuilu, Kivu, and North Katanga. Many other reasons also help account for the rise of the rebellious groups. Longstanding tribal feuds which had been repressed by the Belgians before independence, revived in the absence of efiective security forces. This was the case particularly where one tribe dominated the government of a city or province which embraced other tribes as well. ln areas where tribal disputes were not important, political discontent had arisen from such conditions as the absence of familiar consumer goods and food and the ineffectiveness of governmental authorities. Rebellion outbreaks in the provinces were encouraged and probably in one case started by exile groups based in Congo (Brazzaville) and Burundi. These groups were composed of some 150—200 extremist follewers of Lumumba and Cizenga and adopted the label of the Committee of National Liberation (CNL). Although the CNL is badly divided and its members lack political stature or a sizable following in their own right, they had been given small scale Soviet and Chinese Communist financial support. The necessity of appointing an interim government at this time of widespread dissidence, the dwindling in the support for Adoula, the departure of the UN military force, and a threatened total breakdown of governmental authority were immediate considerations which led President Kasavubu to call on Tshombe to form a government of “national reconciliation." In addition, Tshombe, with access to the wealth and control of the votes of southern Kntanga, was clearly a strong force to be reckoned with and if excluded from the national scene could have become a formidable threat. Tshombe's primary problem was to restore a modicum of internal order by checking tribal and local dissidence which had assumed serious proportions even by Congolese standards. He must rapidly demonstrate convincing leadership qualities and obtain an improved performance from the security forces while keeping the perpetually squabbling and divisive political factions at bay. To achieve the last of these objectives, he would have to make political truces and accommodations with rival or potentially rival leaders. Many African leaders suspected that Tshombe was a puppet of Western imperialists and his domestic foes could count on the sympathy and political support of the more radical African states, e.g., Algeria and Ghana, and perhaps some subversive assistance. For all these reasons, Tshomhe is under pressure to achieve some quick results. Tshombe strengthened his hand so as to be able ultimately to wield more influence within the Congolese Army, and needless to say, reduce the influence of General Mobutu therein. Large contingents of ex-Katangese gendarmes came out of hiding in the bush and from neighboring Angola. Reports verified the presence in the Congo of a number of white mercenary officers who formerly commanded Tshombe’s gendarmes during the secession of Katanga. Tshombe could muster some important assets. He was widely known throughout the Congo and was sympathetically regarded by those regional leaders who favor a high degree of local autonomy. He was the dominant political figure in the economically important Southern Katanga area, if only for a time. He was apparently receiving support from widely diverse figures in the central governmant. Tshombe was ambitious and usually adroit and was at ease in the ceaseless maneuvering characteristic of the Congo's political milieu: in the past he had not hesitated to make and break tactical alliances with conservative or radical groups. eg. the CNL. for political gain. He had considerable personal charm and magnetism. In March and April 1965, the Tshombe Government organised legislative elections. The coalition, led by Tshombe, the Convention Nationale Congolaise, won 122 out of the 167 seats of the legislature. An opposition bloc soon emerged called the Front Democratique Congolais and a political deadlock ensued. By mid-1965, when Tshombe and Kasavubu seemed nearly beyond reconciliation, the Agency tried to resume its previous political intriguing and buying of access and influence but became frustrated when the embassy resisted. US ability to affect Congolese leaders’ decisions “has never been lower since departure of Lumumba,” Leopoldville Station wrote in late October. General Joseph Mobutu’s assumption of power on 25 November 1965 stemmed from the increasingly dangerous confrontation between President Kasavubu and Prime Minister Tshombe following the latter’s dismissal, October 13, by Kasavubu. Kasavubu named Evariste Kimba as Prime Minister-Designate but the latter was defeated in the Congolese Parliament owing to the opposition of Tshombe and his substantial following. Mobutu feared that the conflict between then President Kasavubu and former Premier Moise Tshombe threatened political chaos and the loss of all the gains recently made against the rebels. The US did nothing to stop the eventual murder of Moise Tshombe by the Algerians [by one account] after they forced down his plane in their country. Tshombe's private plane was hijacked by Francis Bodenen, a Frenchman, and landed at Algiers, where the former Congolese leader remained in captivity for two years until his death.